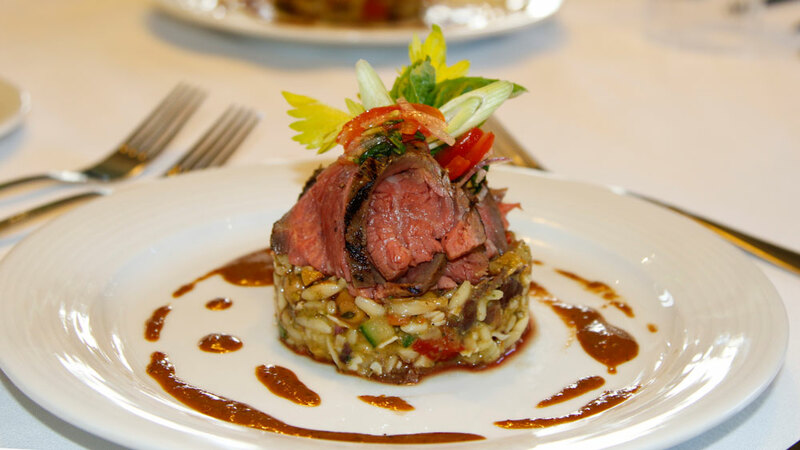 Make your orzo salad and vinaigrette ahead of time, prepare your steak before serving. 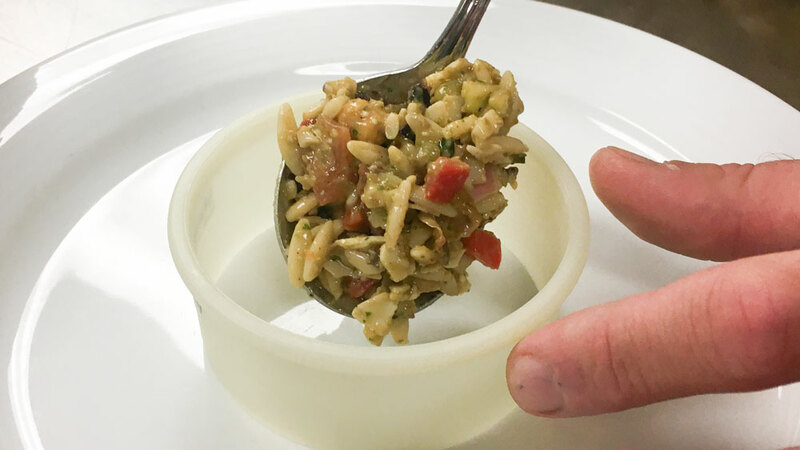 Bring 4 quarts of water and 2 tablespoons of kosher salt to a boil add your 16 ounces of dry orzo pasta to boiling water stirring occasionally. Cook pasta for 7 to 8 minutes, remove from heat and strain and allow pasta to cool down. Combine all ingredients, place finished pasta salad in the refrigerator to cool. 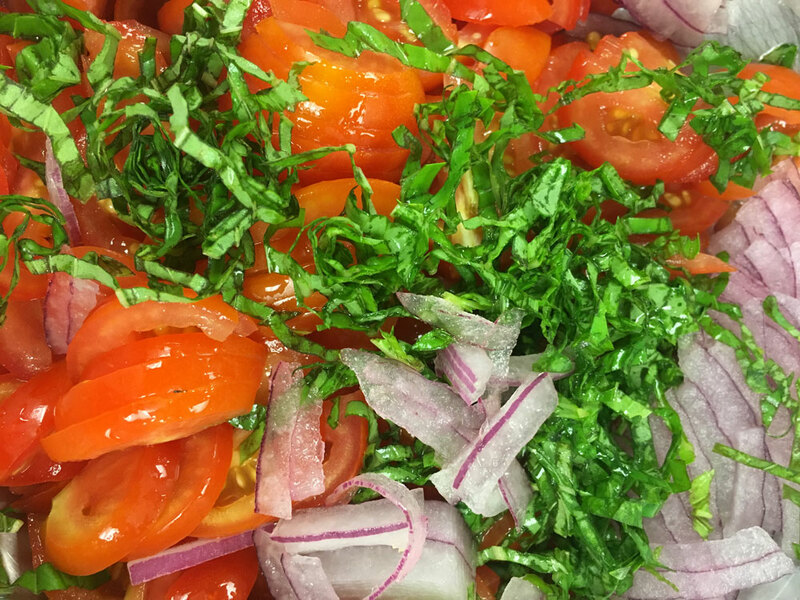 Thinly slice red onion, cherry tomatoes and basil leaves, place in bowl add rest of ingredients mix, place in refrigerator. Place all ingredients into blender and puree. When everything else is prepared you are ready to make the steak. Marinate the flank steak in your chopped garlic, Montreal Steak seasoning and vegetable oil overnight or for a couple hours. Place the steak on a hot grill for one minute, then turn 90° and cook for another minute, flip steak over and repeat process. Place steak on the upper section of the grill or away from the direct heat or to the outer edges of the grill. Cook steak flipping every two minutes until internal temperature reaches 115 degrees, Chef Brian prefers a digital thermometer. Remove from the grill and let rest for five minutes before slicing. Always slice meat against the grain!! !